He’s not named Ringo for nothing! Just a quick post this time to wish a Happy 75th Birthday this week to the luckiest drummer in the world — but also the most exuberant yet grounded, down-to-earth Beatle of the bunch. More than anybody else, except maybe my super-cool elementary school English teacher Mr, Nestor, Ringo …Starr made me want to be a drummer from the moment I heard those early Beatles records, and then saw him in glorious black & white concert footage playing those equally glorious pearl Ludwigs (I owned a presumably cheaper version of that set, but a mid-60s black diamond pearl Ludwig kit nonetheless). Maybe it was because the other three moptops were obviously unapproachable Gods and yet Ringo, despite being up on that drum riser, looked so unabashedly manic and thrilled to be there, like a gawky regular bloke who just loved to play and kept that great, energetic beat going and going as he loved the music like the rest of us. And his syncopated Eastern-style drum pattern on John Lennon’s “Tomorrow Never Knows” from the Beatles’ 1966 masterwork, “Revolver,” becomes not only the main signature of this psych-pop masterpiece, but it’s been used, echoed, and otherwise imitated by everyone from Oasis to Primal Scream to the Chemical Brothers as more than just a beat, but a feel as well. 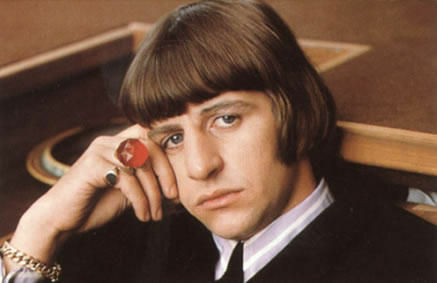 Ringo during the “For Sale” sessions (also known as Beatles VI to us Yanks), 1965. The same might be said for “She Said, She Said,” also a Lennon-penned track from “Revolver,” and the laconic spray of snare and cymbal that opens and then rolls through Lennon’s “Strawberry Fields Forever” (yes, I’m a John fan). 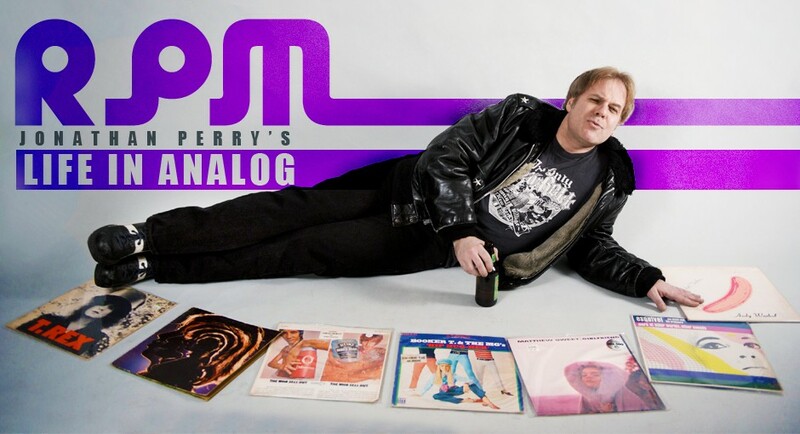 His subsequent work on the George Harrison-penned “Something” from “Abbey Road” is particularly, well, something. And listen to “Come Together,” also a Lennon track from that album, to hear the marvelous inventiveness Ringo brings to a marvelously inventive song. 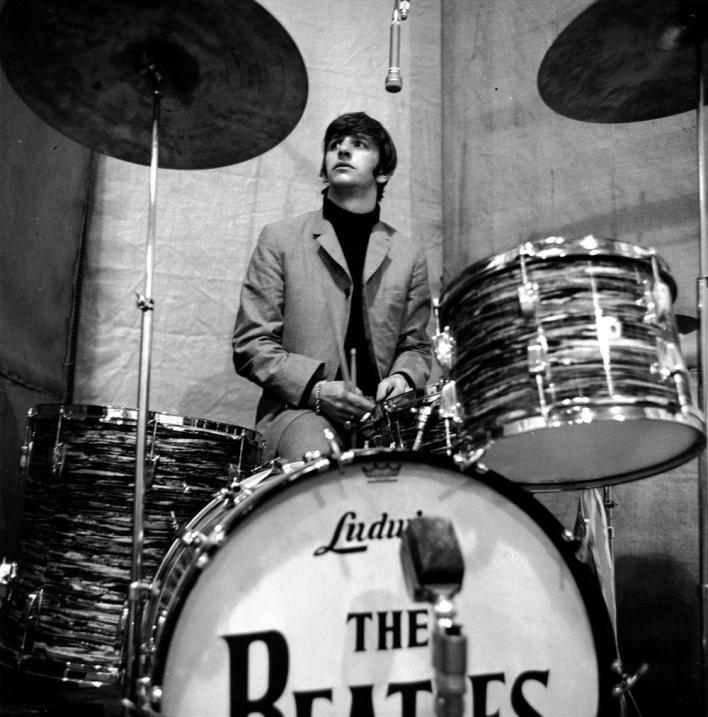 Although John, once asked by a reporter if Ringo was the best drummer in the world, responded by cheekily saying, “He’s not even the best drummer in the Beatles!” his work on many of the Fab Four’s tracks say otherwise. (Now, his singing on the other hand … notice I haven’t mentioned the singing). Despite the studio limitations of four-track recording capabilities in the early-to-mid-’60s, which meant that you had to make room for all voices and instruments on any given song across only four separate available “spaces”/tracks (eight, sixteen, twenty-four, thirty-two etc. track recording only became widely available in the late 1960s/early 1970s), it’s been said that Starr’s superb tempo, feel, and time-keeping made it possible for the Beatles to splice in, fuse, blend, and combine the best bits of many takes of a song because Ringo’s beat never wavered, never sped up or slowed down as to make the rhythmic and tempo differences too noticeable from take to take to take. How important and integral was Ringo to the sound and chemistry of The Beatles? To get a sense of what he meant to the band — as a drummer and as a person — you need only to remember the episode around the so-called “White Album,” when Ringo — fed up with the prima donna acts, divisiveness, and bickering between at least two of the other three Beatles, stormed out of the studio and announced he was quitting. Recording stopped. Beatles pleaded. And a big bouquet of flowers and note of apology was left on Ringo’s drum seat. It may have been the first, and only, time the Beatles were actually scared. As if all of this wasn’t enough to convince you of his cool, Ringo married “The Spy Who Loved Me” Bond Girl Barbara Bach, after reportedly meeting her on the set of the otherwise wretchedly awful movie, “Caveman,” he was “starring” in (I say “otherwise” because the only redeeming thing about the flick was that Barbara at least made the price of admission up to my teenage theater-going self by wearing a loincloth a la Raquel Welch on-screen for the entire duration). That’s right. Ringo met the Bond Girl who would become his future wife on the set. Now THAT’S what I call perfect timing. Who snagged the beautiful Bond girl? 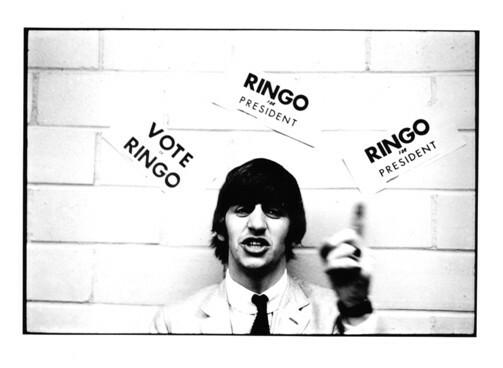 Why, Ringo of course! 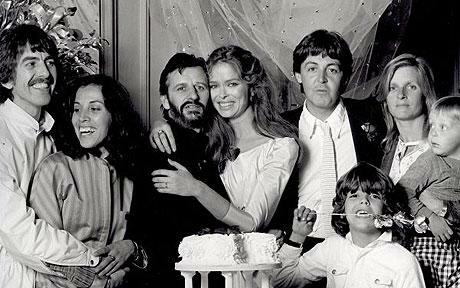 The ladies love drummers, as evidenced by this shot taken at Ringo and Barbara’s wedding, 1981. You just may recognize the wedding party. To the man who exemplifies the adage that Less Is More. 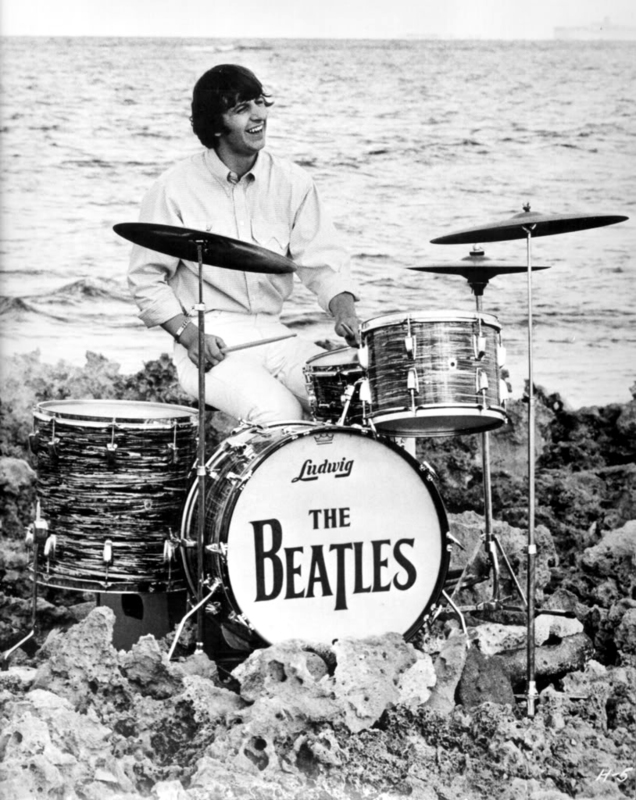 Happy 75th Ringo!